Can you count the ways in which this is wrong? 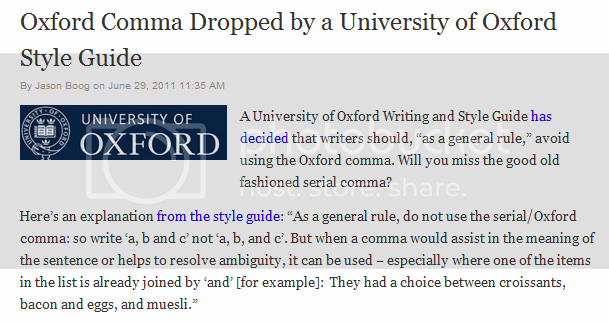 But now I'm /kanyeshrugging 'cause I'm still gonna use the Oxford comma. I aim to misbehave. You have no power over me! Henceforth, I'm just gonna call it the serial comma since Oxford has disowned it, you poor beautiful misunderstood punctuation symbol.